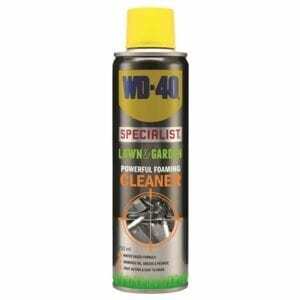 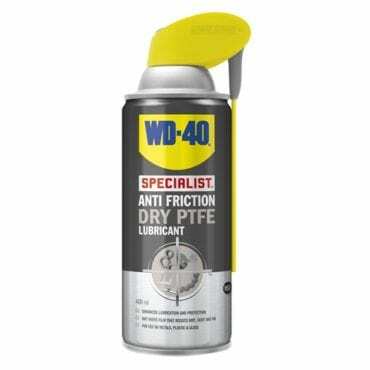 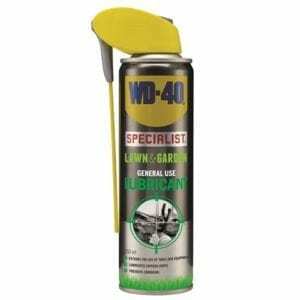 WD40 Specialist Dry PTFE Aerosol Lube offers enhanced lubrication and protection, leaving a dry clear film that won’t attract dirt, dust or oil and reduces friction. 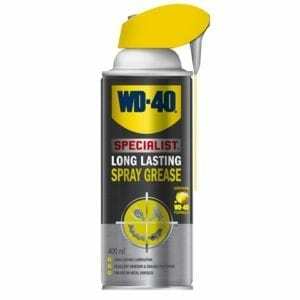 It is quick drying and also withstands temperatures of -20°C to +250°C. 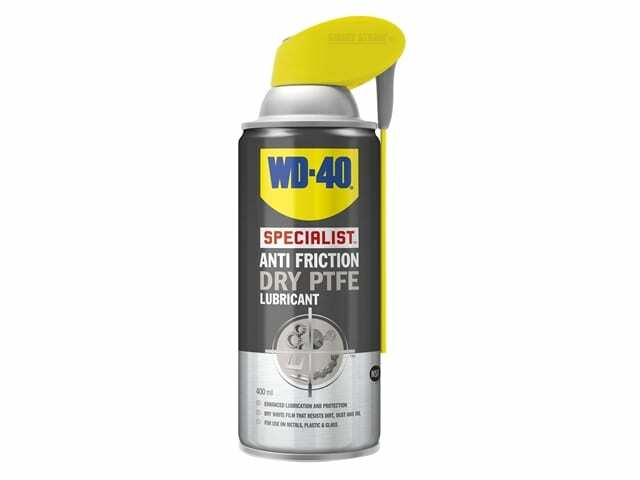 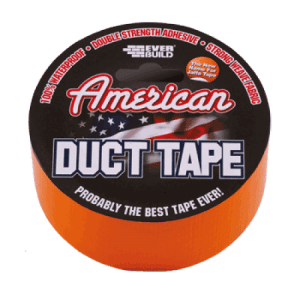 Can be used on metals, plastic and glass.